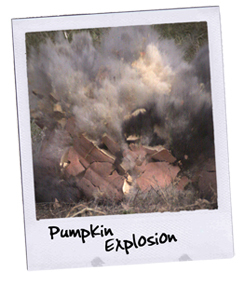 To finish off the growing season we found a local explosives expert willing to help us. Additionally, a friend with connections hooked us up with a high speed camera expert who captured the explosions at 500+ frames a second. Needless to say, we finished the season of with a bang.